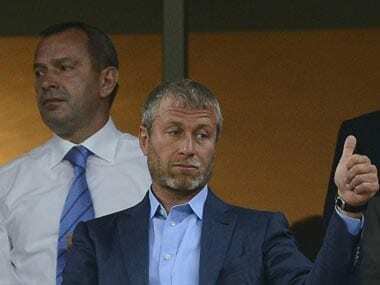 Juventus overcame an early injury to striker Gonzalo Higuain as they edged past neighbours Torino 1-0 on Sunday to chalk up their ninth league win in a row. 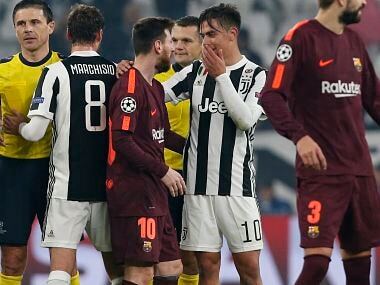 Barcelona came into the clash needing just a point to finish first in Group D, while Juventus needed to avoid defeat and Sporting to fail to beat Olympiakos in Lisbon in order to qualify. 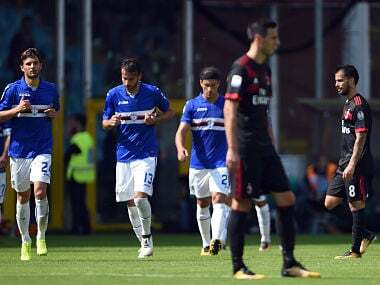 Chinese-owned Milan again showed their difficulty against teams in the top half of the table as they stay fifth after six games with Sampdoria, who have a game in hand, moving sixth just a point behind. 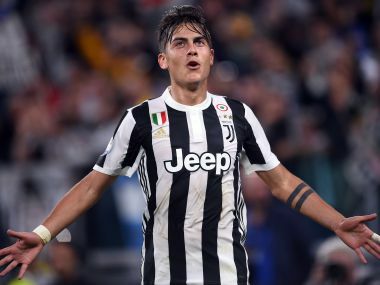 Paulo Dybala scored a double as Juventus outclassed 10-man Torino 4-0 in Saturday's Turin derby to stay top of Serie A alongside Napoli who battled past SPAL 3-2. Lazio defeated Juventus for the first time in four years with a 3-2 triumph in the Italian Super Cup on Sunday with victory secured by an injury-time goal from substitute Alessandro Murgia. 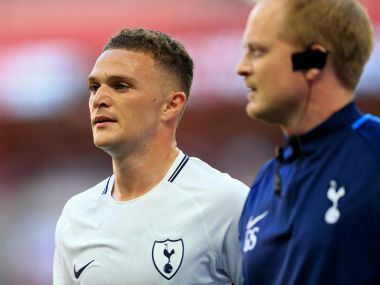 Trippier limped off late in the first half at Wembley after the right-back had two crunching collisions with Juventus defender Alex Sandro. 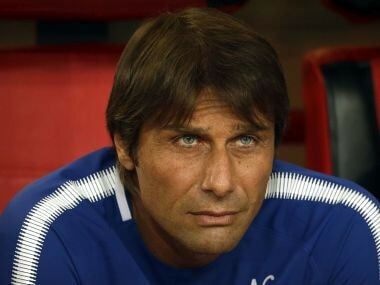 Just three months ago, Conte was all smiles as he soaked up the acclaim of Stamford Bridge at the climax of Chelsea's Premier League title triumph.